Let’s face it. Sometimes the programs we use at work can be challenging. Often, it is an employee’s knowledge of these programs that can make or break efficiency. Simulation can be a powerful tool in familiarizing your employees with software (in a consequence-free environment) before exposing them to the real-world counterpart. 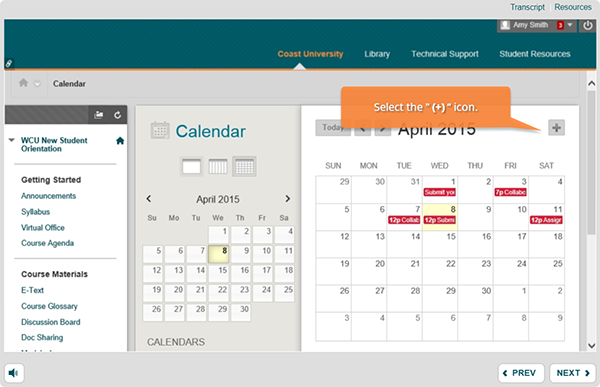 Created for a university’s student orientation training, the simulation example below shows learners the process of adding an event to the calendar in their student portal.